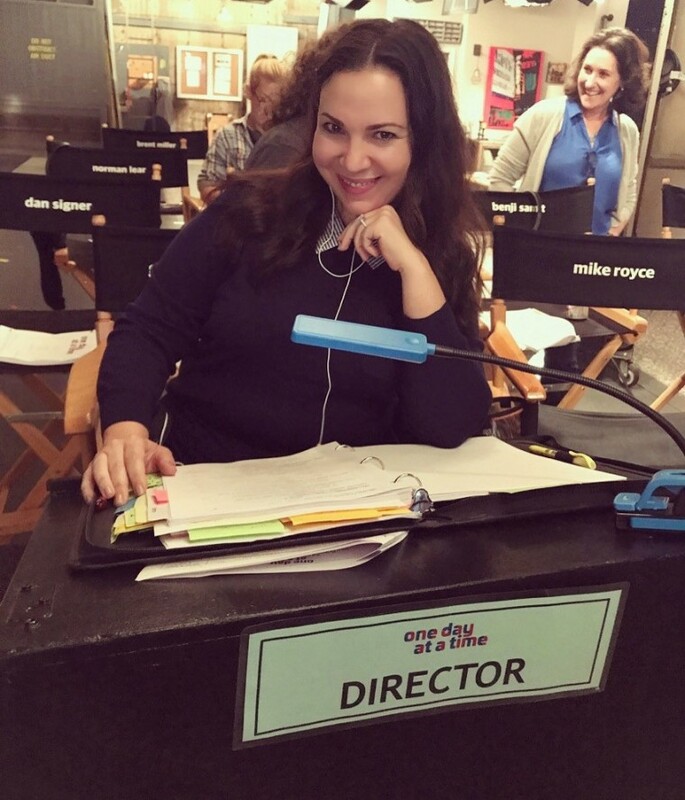 "One Day at a Time" co-creator and executive producer, Gloria Calderon-Kellett. When Hollywood executive producer and showrunner Gloria Calderón Kellett was growing up as a Cuban American in Portland, Oregon, she didn’t see any families that looked like hers on television. Now, Calderón Kellett is helping share that representation with her bicultural reboot of the iconic 70s sitcom "One Day at a Time" on Netflix. The executive producer and co-creator drew from her own heritage to give the hit show about a single mother raising two children its distinctive Latino flavor. “It’s an interesting thing when you’re not represented in the mainstream; it affects you, I think," said Calderón Kellett. “So for me, being able to put a show out there that’s representative of Cuban culture as it is for me...It’s incredibly important." “I knew that all I could do was be honest about what my story was and hopefully that honesty would resonate with other people,” she said. The reboot of the original Norman Lear hit 1970s show focuses on Cuban-American mother and veteran Penélope Alvarez (played by actress Justina Machado), raising her two children with the help of her mother Lydia, played by the legendary Rita Moreno. Calderón Kellett said she was influenced by veteran producer Norman Lear’s storytelling, one that infused meaningful topics with humor. She and the show’s writers work to bring their own unique perspectives to the multi-camera series in a way that’s both poignant and funny. In its first season, the series tackled such issues as gender equality, veteran’s issues and PTSD, immigration and coming out. The show drew praise for its storyline on LGBT issues, focusing on the coming out story of character Penelope Alvarez’s daughter, Elena. “That’s the kind of storytelling that’s meaningful to me,” she said. Calderón Kellett said her appreciation of the multiple-camera sitcom setup came from her love of plays and playwriting earlier in her career. “By far my favorite thing was going back to my roots; multi-cam comedy is a play that you film in front of an audience,” she said. Now she is bringing more of her own life experiences to the screen with a new series for CBS called “History of Them,” which follows the story of a multi-cultural couple. “I don’t see a lot of interracial relationships on television, so I felt like it was important to show what a mixed family looks like,” she said. Meanwhile, “One Day at a Time” was renewed by Netflix for a second season. While Calderón Kellett is proud to bring some of her own experiences to the show, she was not seeking to make a series only for Latino audiences. “I’m trying to make a good family show that happens to be a Latino family, I’m not making a show just for Latinos,” she said. “I want it to speak to people and speak to our common humanity." Kellet stressed that's why it's important to support shows with diverse perspectives. “We’ve got to just create more, we’ve got to support more,” she said. What is the best thing about coming from a Latino family? The food, the music, the dancing ... I have to pick one? Can't do it!! What is your guilty Latino pleasure? Julio Iglesias from the 70's. I legit think it holds up and all of my non-Latino friends look at me like I'm nuts when I put it on. What’s the best piece of advice someone ever gave you? Other people's opinion of you is none of your business. The #NBCLatino20 honors achievers who are making our communities and our nation better. Follow their fascinating stories throughout Hispanic Heritage Month.